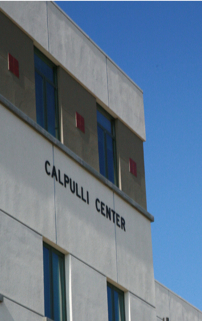 Calpulli Center opened in 2006. In addition to the Well-being & Health Promotion Department (Suite 3201), it houses Counseling and Psychological Services, Student Ability Success Center, and Student Health Services — all available to students as part of basic tuition and fees. Individual and group counseling, online assessment, workshops, and more. Students have access to a well-being center including massage chairs and an area to relax. Crisis intervention programs help at-risk students succeed. Walk-in and telephone counseling are available. Consultation and referral services are available to students, staff, faculty and parents. Visit the Counseling & Psychological Services website. Located on the third floor of Calpulli Center, Student Ability Success Center (SASC) is dedicated to empowering students with disabilities by ensuring they have access to appropriate support and services that minimize academic and physical barriers. 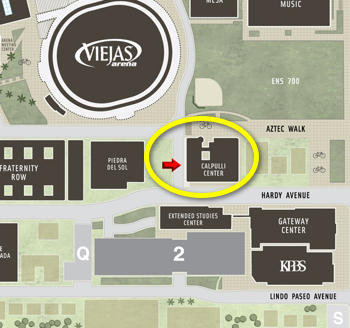 Visit the Student Ability Success Center. Students receive high-quality health care from certified nurses and doctors at little or no cost. 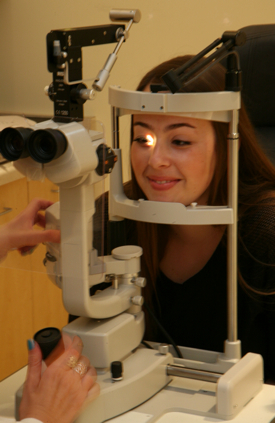 Students have access to a pharmacy, X-ray lab, immunizations, dental clinic, dermatologist, eye clinic, family planning services, orthopedic care, and more. Visit the Student Health Services website. - Wellness Office, ARC & A.S.